Drama continues to swirl around Canelo Alvarez and Gennady Golovkin six weeks before they’re due to battle again. 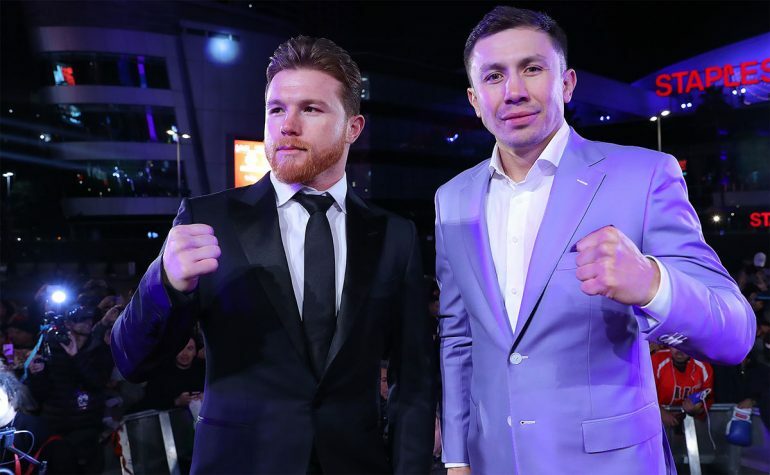 Canelo Alvarez tested positive for the banned substance clenbuterol last month and blamed tainted meat as the culprit ahead of his May 5 rematch against GGG in Las Vegas for THE RING/WBA/IBF/WBC middleweight championship. Golovkin was guarded in his remarks immediately after the findings were revealed, and Alvarez has tested clean several times since then. However, GGG reversed course Tuesday at his camp in Big Bear Lake, California, and during a sit-down with reporters, unleashed on both Alvarez and his promoter, Oscar De La Hoya, with serious accusations. Golovkin (37-0-1, 33 knockouts) claimed Canelo took a pill after the weigh-in last September, and he now says he doesn’t buy that Mexican meat had anything to do with the performance-enhancing drug found in system last month. Beef consumed in Mexico has been known to be contaminated with clenbuterol, and fighters such as Erik Morales, Luis Nery and Francisco Vargas have claimed it as the reason for their positive drug tests. Alvarez (49-1-2, 34 KOs) had never tested positive for banned substance before February. “Again with Mexican meat? Come on,” Golovkin said. “I told you, it’s not Mexican meat. This is Canelo. This is his team. This is his promotion. Canelo is cheating. They’re using these drugs, and everybody is just trying to pretend it’s not happening. The Nevada State Athletic Commission is conducting an investigation into Canelo’s drug tests, but the highly anticipated middleweight rematch remains on. “(Golovkin) doesn’t sound like a confident fighter. It sounds like he wants to try to find a way out of the fight,” Gomez told ESPN. “If that’s what he wants he should just say so. Just last week he said the opposite. The remarks about the needle marks, the remarks about Oscar, the defamatory things he said, we’ll deal with them appropriately.